Maintaining a sanitary, clean and hygienic environment at home, work or school is essential as a way of healthy living to avoid unnecessary diseases. It also helps one look organized and tidy. 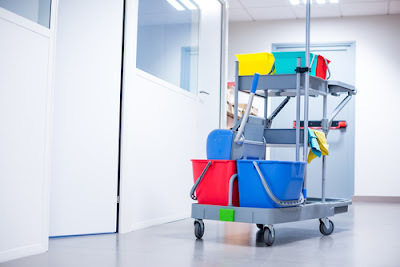 Many people choose to hire quality cleaning services from professional cleaning companies instead of a janitor or full time maid in the household as it’s easily manageable. It’s very important to hire a reliable cleaning service that can be trusted with the safety of one's belongings and that can also be depended upon to carry out the job with precision, integrity, and perfection. Cleaning companies have a wide range of categories of qualified staff trained professionally to do house cleaning services in all areas and they do so in specific schedules. 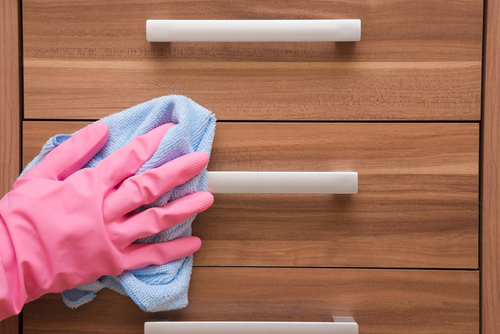 It Could be once a week, twice a week, on special occasions like parties or demanding cleaning like the basement or could be office cleaning. One is required to choose from the above category for the required job to be done. Not all cleaning companies offer satisfying services hence one should put so many factors into consideration when hiring. One should follow a procedure and various factors before settling on a given service provider. What are some of the dos and requirements when hiring? Investigate about the cleaning company from their past clients. If they have a poor record with more theft cases or unsatisfied clients then reconsider the options with another company that is more suitable with a good reputation. This is meant to be a precaution because one is entrusting their household or business premises to the cleaning company. This is meant to protect the one hiring the company for the cleanup. In case something is lost, destroyed or damaged for example if it’s washing clothes and one accidentally bleaches them. A given compensation mechanism is put in order either by replacing or deducting from the amount to be paid to the cleaning service company. This is to make sure that you have a variety of options to pick from and choose one that suits your comfort and style of operation. Ask for references to ensure that you can trust the cleaning crew. Trust is very important because the team or crew or person will be having access to your entire household. It’s very important to note the parts of the house that need more attention and put them in the scheduled order for the cleaning service company to take note on. This is to make sure they accept your request policy and also may leave a report on areas with problems. 5. Negotiate terms of payment for the cleaning service ahead of time. Terms of payment should be discussed before the cleaning begins. Because the company might have an established system applying already. Decide if you want to pay after every clean up service visit or monthly. The terms must be clear about how much is to be charged for every service. It’s very common for cleaning Service Company to show up with their own equipment ready to do their job. But in some cases they might request to use the owner’s equipment’s like brushes, detergents or brooms. 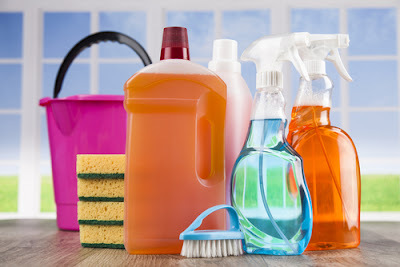 In case someone in your household is allergic to certain cleaning supplies like solvents consult the cleaning service to discuss the specific products that might be beneficial and safe to use. 7. Consult if there is a specific charge for the type of residence you live. The type of residence one lives in might affect the cleaning service visits. Could be that a specific permit or clearance is required for entry to the premises. The residence could be part of a gated community that could be an issue during entry. This is to ensure that there is no hindrance when they are doing the clean-up. 8. Ask for proof of insurance from the company. This protects you in case of an accident while the cleaning service workers are at your premises. This is meant to confirm that all the workers of the cleaning team are covered with an insurance company which makes you not responsible if an employee of the company should be hurt during the cleaning job at your property. 9. Get price tags from the cleaning companies around. The companies offering the service will visit your premises to estimate the amount of work to be done. Then inquire a profile of services they provide like sanitizing, dusting, vacuuming or mopping. From that you get to evaluate the kind of services per cost that you will require from the cleaning company and it helps you get a company that will offer the services at an affordable cost. Most cleaning service companies will require your signature to authorize a contract to lock you onto their services for a given period of time. It’s advisable to get a suitable recourse to avoid a breach in case you are not happy with their services and you want to switch to another cleaning company with better service. It is best to go for a company which give out short term contracts, this will help you back off if you are not satisfied with their cleaning services after the contract expires. 11. Consider the work experience of the cleaning company. Companies that have more years in their resume have the experience to effectively handle the cleaning services . It’s the most recommended as it’s likely to deliver fully to the expectations specified due to their large reputation and work experience compared to a start-up company that might not meet your expectations fully. In conclusion when all these factors are applied and evaluated carefully, one will end up with the most qualified cleaning company that will handle the job with ease and required profession to the liking of the employer.